It’s one of the hottest and potentially biggest fights in all of boxing, and both fighters appear to want it – but not quite yet. 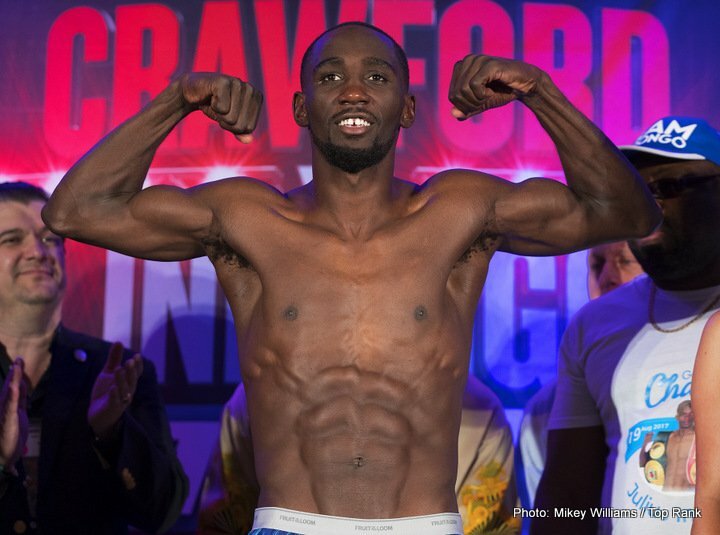 Errol Spence has made it clear he wants all the belts at welterweight and in particular a fight with rival pound-for-pound star Terence Crawford. Crawford, who has just boxed his debut at 147 – capturing the WBO belt with a dominant stoppage win over Jeff Horn – has responded. The way Crawford tells it, and with his promoter Bob Arum speaking about an October fight for the three-weight champ, it seems we will likely have to wait until next year to see these two great fighters get it on. By then, providing both men have not put a foot wrong, Spence-Crawford, or Crawford-Spence (it would be interesting to see who the A-side would be) could end up being the biggest welterweight fight since the Leonard-Hearns epic. But who will Crawford and Spence fight in the meantime? Arum has mentioned both Lucas Matthysse and Jose Benavidez as possibilities for Crawford’s next fight, while Spence might even wind up facing Mikey Garcia (Garcia surprising us by calling for the fight for this December). But next spring or summer, providing both men still have their “O,” Crawford-Spence simply has to happen. At least two world titles would be on the line, along with, possibly, pound-for-pound supremacy. The sheer level of skill, talent and boxing ability, speed, accuracy and power on display would be something to marvel at – and as evenly matched as these two brilliant fighters are, they could end up fighting two or three times. For every fan you find who tells you Spence beats Crawford, you can find another who tells you Crawford tops Spence. It’s a special fight and it is certainly worth waiting for. 2019 could be a massive year for the 147 pound division.